The Renault Triber sits on the same low-cost platform as the Renault Kwid - CMF-A. The Renault Triber has been designed especially for the Indian market, although it is planned for sale in other countries. Renault has ensured that it measures no longer than 4,000 mm in length, to ensure that it attracts that least possible GST levied on internal combustion vehicles. At the front, the entry-level MPV features projector headlamps, a large V-shaped radiator grille with three horizontal slats and a wide honeycomb lower grille. 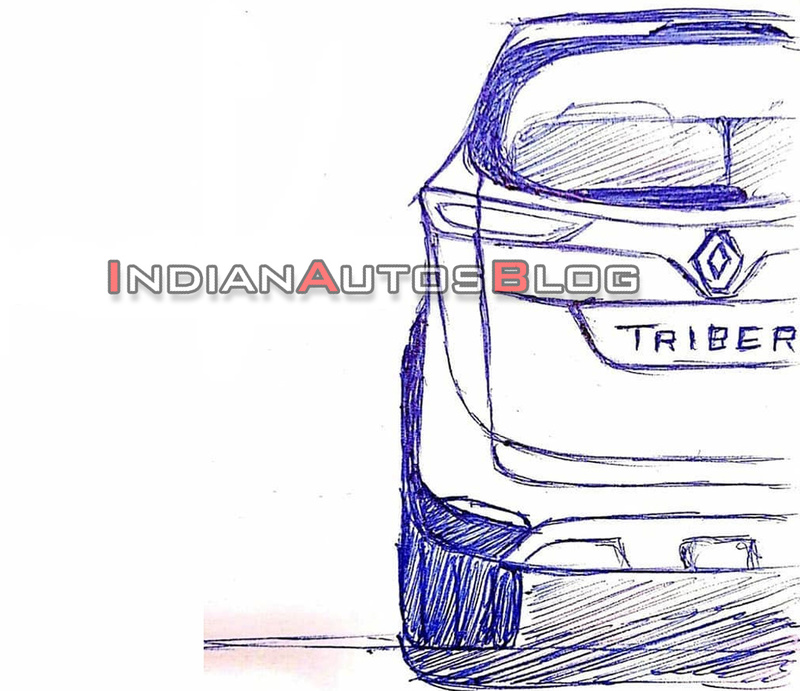 At the rear, the Renault Triber has sporty sleek tail lamps and a faux skid plate to mimic the ruggedness of an SUV. Both the sketches give a peek inside the cabin, and it looks like the smallest MPV from French automaker will feature 50:50 split third-row seats. According to a report, the third-row seats will be removable. The Renault Triber sits on the same low-cost platform as the Renault Kwid - CMF-A. It is said to employ a more powerful (+7 hp) version of the entry-level hatchback’s 1.0-litre SCe three-cylinder naturally aspirated petrol engine that develops 68 PS (67.07 hp) and 91 Nm of torque. A 1.0-litre TCe turbocharged three-cylinder petrol engine option will follow in 2020. Transmission choices should include 5-speed manual and 5-speed automated manual, although the latter may see a phased release. Renault will sell the Triber with only a 1.0-litre naturally aspirated petrol engine initially and introduce a 1.0-litre turbocharged petrol engine option in 2020. 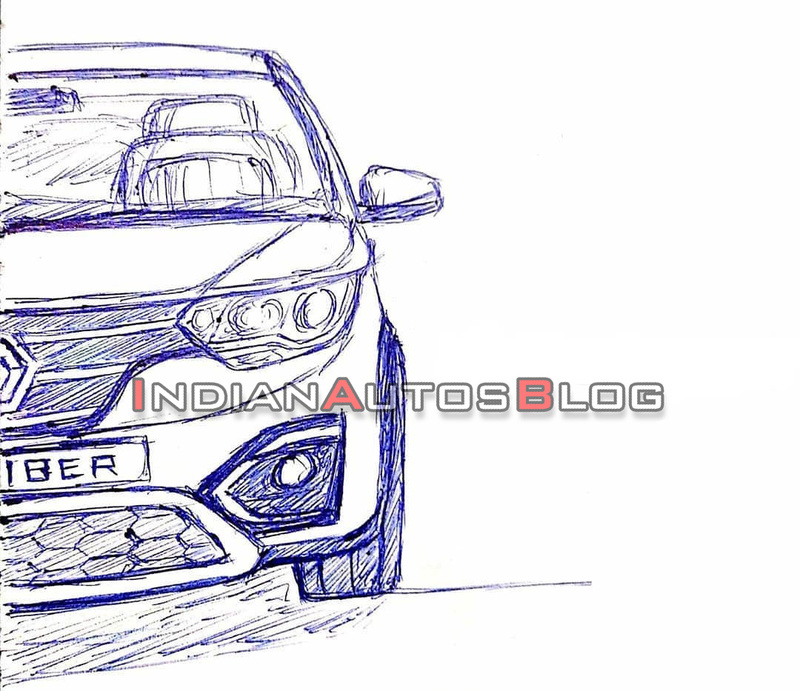 Renault will launch the Triber in India in July this year. After making its market premiere here, the new MPV will go to Indonesia.